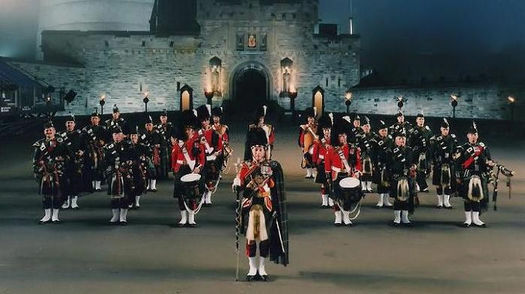 Welcome to the web pages of the Pipes & Drums of the Canadian Scottish Regiment (Princess Mary's). Whether you are a casual browser, a former member of the Regiment or Pipes and Drums, or a history buff, we hope you will enjoy your visit! Located in Victoria, British Columbia, Canada, the Canadian Scottish Regiment Pipes & Drums is an authorized band of the Canadian Forces with a long and distinguished military history dating back to before the First World War. To start your visit, enjoy a track from our latest CD featuring the combined bands of the Canadian Scottish Pipes and Drums and the 3rd Marine Aircraft Wing Band of San Diego, California, as they play our Regimental March Past.